Customer portals are used as front end for borrowers where they can apply for loans, monitor their invoices, request payment plans or manage early closing of loans. The borrowers can view their accounts and transactions together with assocaited loan terms. Customer portals are configurable with look and feel and you can build your own portals for any devices using our API. Offer lender portals where your lenders can monitor their returns and watch their accounts. 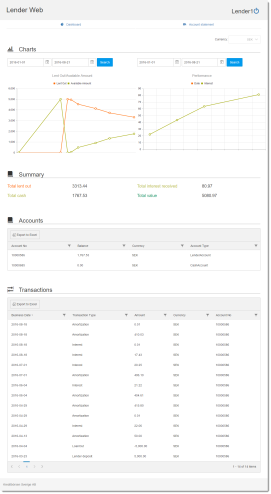 The lender can access reports and make settings with regards to how much should automatically be lent out of the daily returns. The lender allocation engine automatically manages the allocation of loans to lenders according to a set of parameters that can be modified by the lender. The collection manager is fully integrated and manages the communication and the cases that are sent to collection agencies. 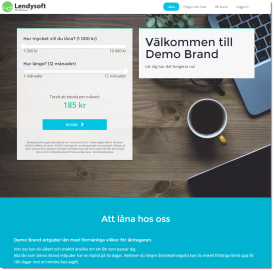 Lendysoft offers full support for a Swedish Government Collection Agency called Kronofogdemyndigheten. 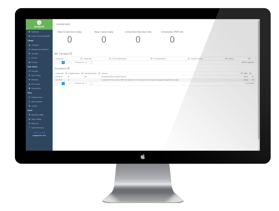 Lendysoft has a built in CRM module where all customer communication can be managed as well as the management of support issues. 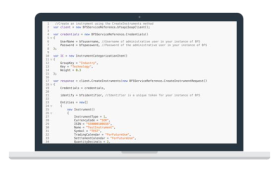 Use our REST API to integrate with your own systems and extend the core Lendysoft application with more custom functionality. 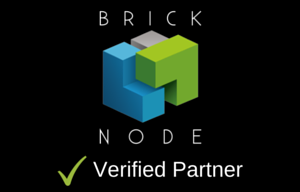 Lendysoft fully integrates with Bricknode Financial Systems and is delivered through the Bricknode Marketplace.